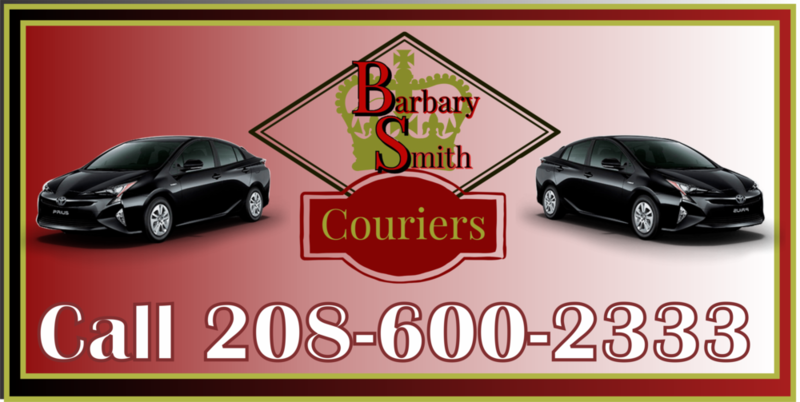 "We take the BS out of delivery"
Barbary-Smith couriers is a Family/Veteran owned business local to Mountain Home, Idaho. Our Services include local pick-up and delivery as well as out of town pick up and delivery. We can transport anything from a document, to a parcels/packages, to food, there are few exclusions to the things we can do. We travel to Boise, Meridian, Eagle, Nampa, Caldwell and try to provide the most reliable and affordable courier service to our customers. We are also able to anywhere outside our listed service area given ample notice and depending on our delivery schedule. Please, email or call us for further information regarding your delivery. BS couriers will ensure that your items are delivered in a timely manner. “We take the BS out of delivery”. All estimates are free and flexible according to time and scheduling. For a rough estimate please see our pricing sheets under the pricing page. Superior customer service and convenience compared to competitors. Small local business that delivers more value to each of our customers. Veteran Owned and proud to offer military discounts. Sign up with your email address to receive news and updates about deals and promotions! I am a USMC Veteran and since my time in the corps, I have worked for various courier services in Boise. Thus, I have seen first hand how they conduct their business and treat their customers. I intend to bring a more reliable and efficient service, that focuses on the customer’s needs and not just the bottom line. My mission is to make a courier service more accessible for the great businesses and citizens of Mountain Home and the surrounding areas. Click to Get Your Flowers TODAY!